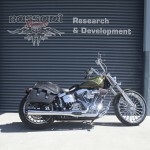 Recently we fitted our Pipes made for the Softail Rocker to a new Harley Breakout and found them to fit. 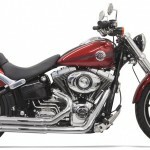 We already offered 3 styles through Drag which makes them immediately available to anyone with the Breakout Bike. 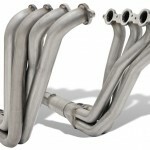 Check out some of these photos of the Breakout with our pipes. Mar. 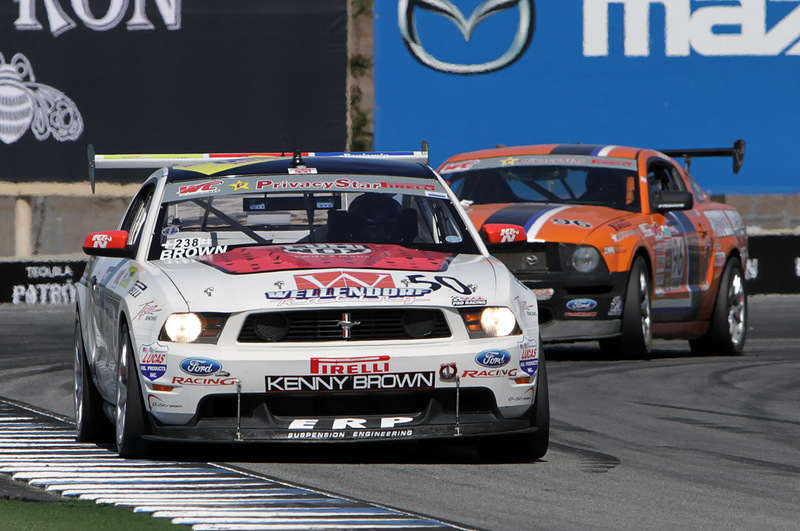 23, 2012 – COVINA, Calif. – With the first weekend of the 2012 SCCA Pro Racing Pirelli World Challenge season only days away, Tiger Racing is excited to announce that driver Justin Bell will be piloting the #50 Ford Mustang Boss 302S in the GTS class for the first two races of the season. 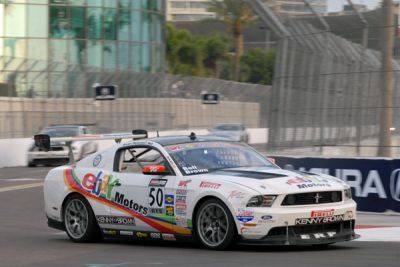 No stranger to SCCA racing, Bell will bring experience running in such series as Trans Am and FIA GT to the Pirelli World Challenge for the first time. Tiger Racing is proud to be sponsored by eBay Motors, Kenny Brown Performance, Lucas Oil, Ford Racing, K&N Filters, Eibach, Baer Brakes, Hawk Performance, One Hour Heating and Air Conditioning, G-Stream, ERP/JRZ, Tremec Transmission and Bassani Xhaust. A special thanks to Wellendorf Performance. At different stages in Michael Heinz build up on his Mustang GT we had installed originally our Aft Cats then later the full 3″ exhaust system and then later headers to the system. Michael had got himself a Magnuson supercharger and with all that power we did further R&D and installed resonators to attempt to quiet it down as it was his everyday driver. Michaels car got oufitted with the RTR package and was looking as awesome as it performed and sounded. He told me he’d been on the Speed Channel and send me the video of this segment that pitted him against the new Camaro and Charger. 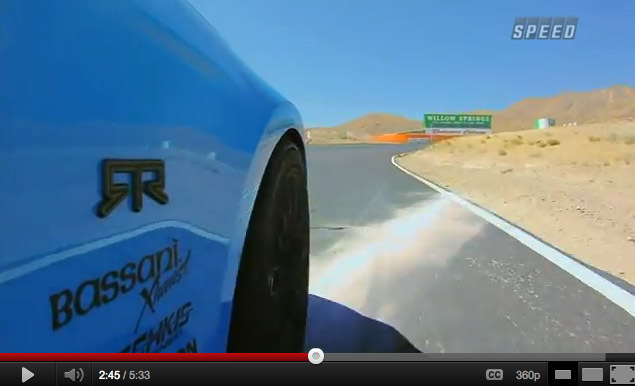 I like Mike Farrah’s comment in the video at 2:41 saying this Mustang GT outfitted with Bassani Xhaust “could win on sound alone”. Too bad his car spun out and got a rock in it’s wheel. We are sure his time would have beat out the other two. 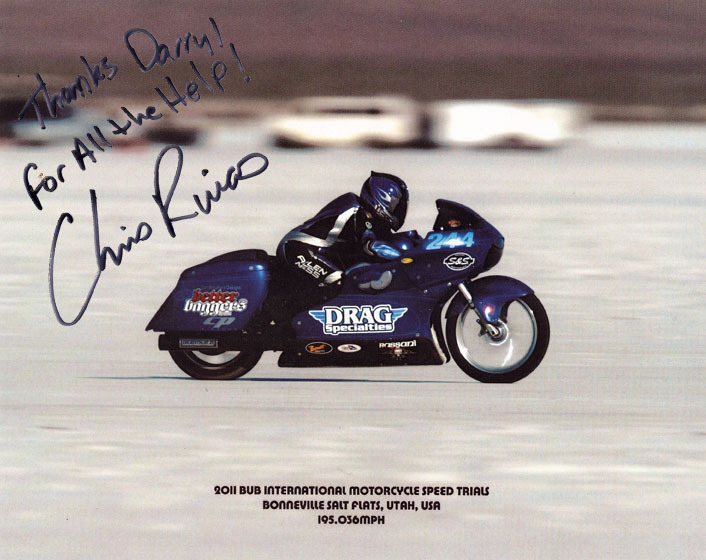 Chris was able to keep the title of “World’s Fastest Bagger” with a 195+ Pass at Bonneville this year. Congratulations Chris! 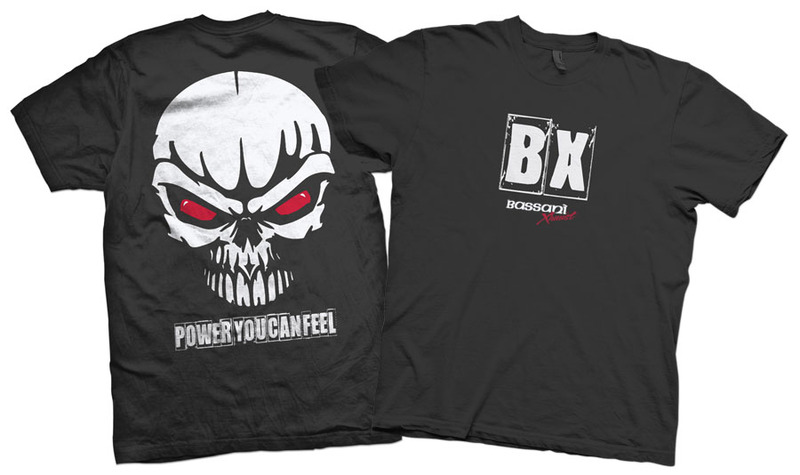 New possible shirt designs for folks to rep the Bassani in. 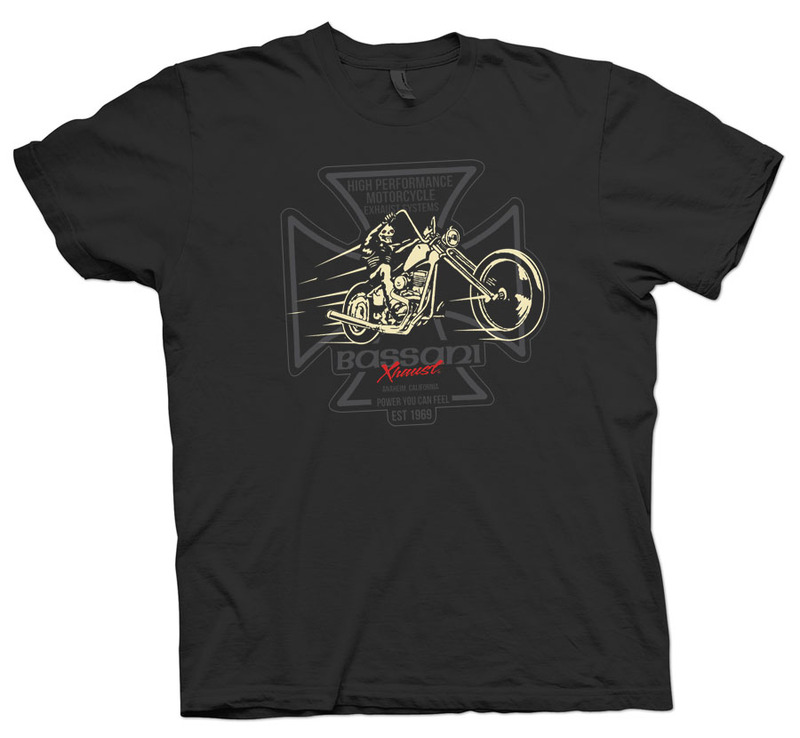 One Motorcycle nostalgia one in black and one Skull in “Your Face” Power you can feel shirt. Hope you like them. I’m gonna let you vote on them. 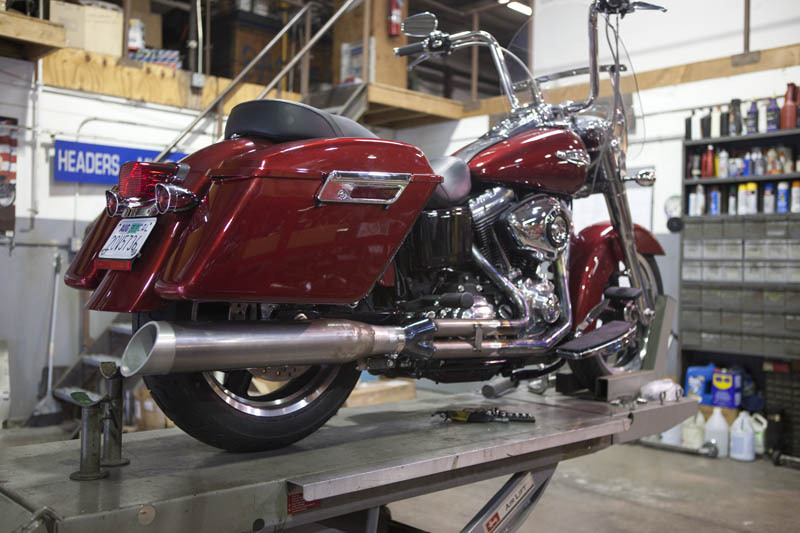 We got a 2012 switchback Dyna in for prototyping a 2>1 and some slip ons. 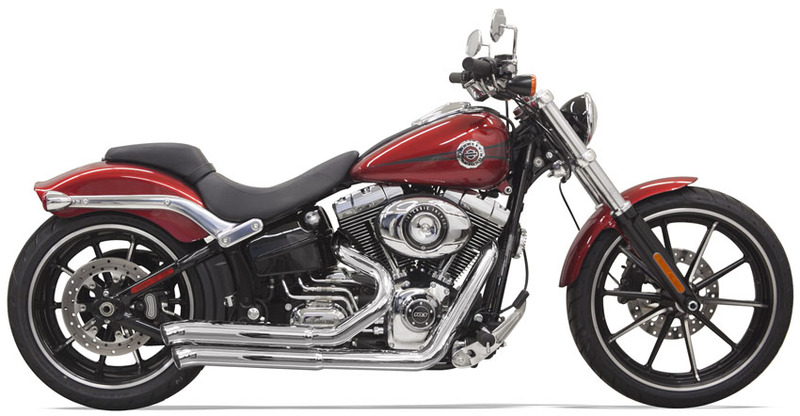 This bike is all new for Harley and at a killer price point $15,999 we think it is going to be very popular for guys that perhaps want a Bagger but don’t have the funds to finance it. 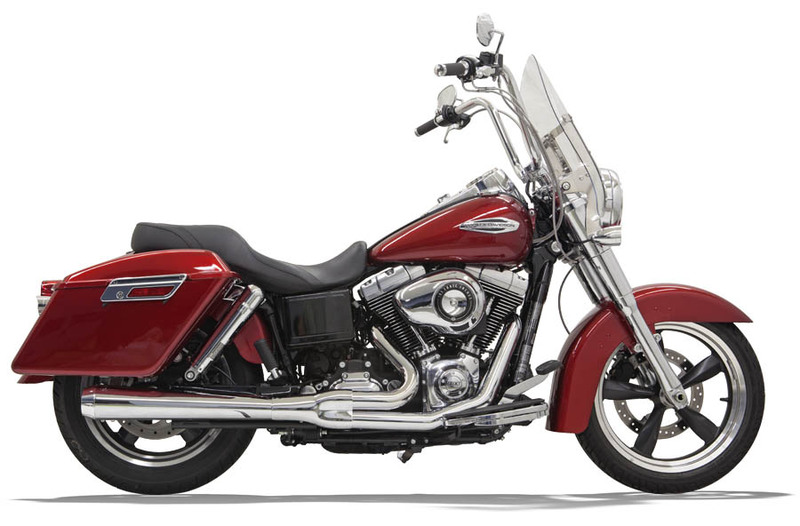 We put our test system on this Dyna and with it’s new 103 V-Twin this bike came to life. The photo shows the megaphone falling short of the bags but this is only a prototype and the actual megaphone will be longer. Paul had been running our full system with headers, X Pipe and Mufflers but because of race restrictions needed to bring his exhaust up more so Geoff Adams our Automotive R&D fabricator just recently updated Pauls Mustang with an Oval Mid Pipe and X. Paul took the car to Lagune Seca for the GTS Class Championship. Driving No 50, his Ford Mustang Boss 302S. Paul Brown claimed a flag-to-flag win in the GTS class of this weekend’s Pirelli World Challenge Race at Mazda Raceway Laguna Seca. Brown qualified on the pole, pulled away at the start, and managed to keep first place all the way to the finish with a 2.713-second margin of victory. The win secured his first career World Challenge title with one race still to go in the season. 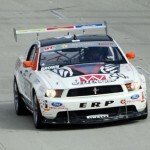 The victory was Brown’s fifth of the year and his eighth podium finish out of eleven races so far this year. The Championship is the first for Brown, who wasn’t sure if the funding was available at the start of the season to run for a championship. The team placed together race-to-race deals to make it to every championship round and now sits on top with a one-race cushion to spare. Brown finished ahead of Pratt Cole’s No. 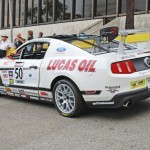 96 USA Cares/Western Metal Ford Mustang FR500S after Cole ran second for the entire race. Bob Vogel brought down his Camaro SS which had our full 2-1/2″ system on it including our headers, and a Supercharger installed. This system features the Power X Crossover, and comes with all necessary hardware for easy installation. We took it for a spin and got sound bites from it. Bob’s been working with the guys at Hess Motorsports to get this Camaro to look and perform it’s best. 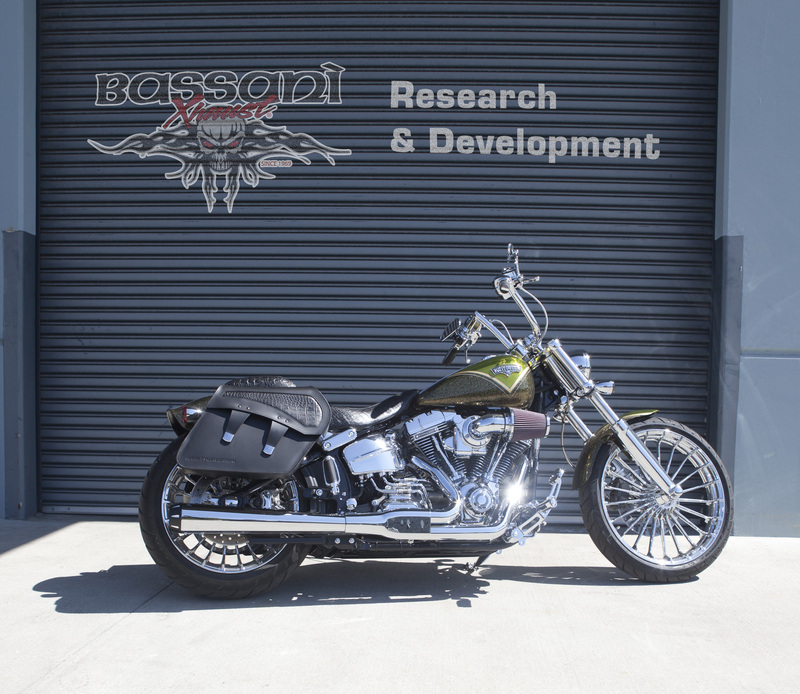 Contact your local Bassani dealer for more details. 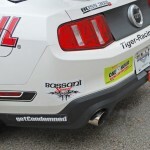 Paul Brown of Tiger Racing asked us to design an exhaust system for his Mustang Boss 302S. Geoff Adams our R&D automotive fabricator designed and installed our full GT 5.0 System complete with crossover “X” and race mufflers adapting it to the stock headers since regulations required him to run oem manifolds. Bassani’s been following Paul’s progress and were hopeful after his race in Florida. We congratulate Paul and Tiger Racing on this latest win in Long Beach and wish him all the best! We felt the need to come up with a logo for the B1 line. 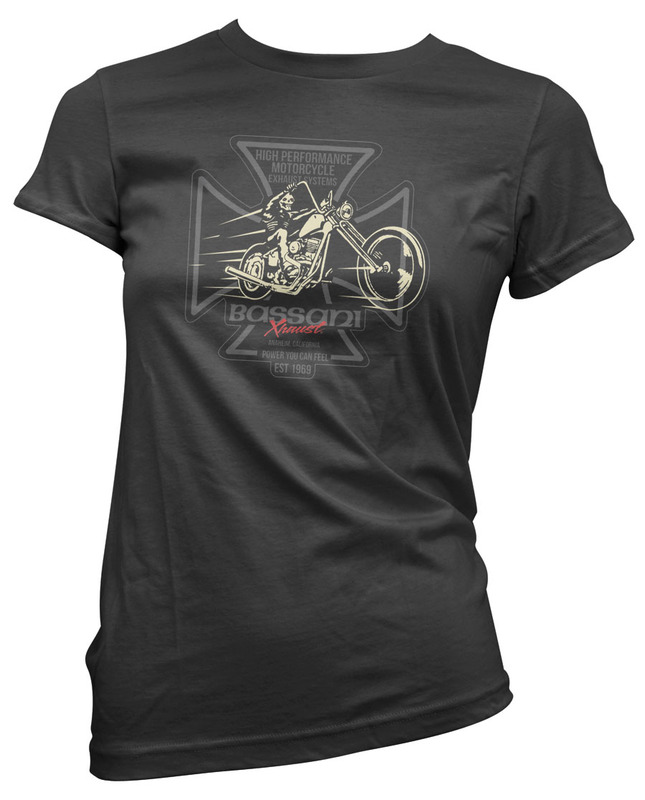 We will use this logo whenever possible but the staff needed it for embroidery on their shirts for the V-Twin Expo in Cincinnati Ohio. I did a quick sketch then fined tuned it in Photoshop then simplified it even more and brought it into Illustrator. You can see the 3 steps and the result.